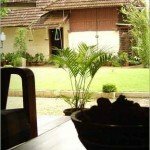 Backwater Retreat is located at Kumarakom offers you the most complete facility as feel as a home. At Backwater Retreat, we believe in combining contemporary elegance and modern efficiency with our grace, warmth and care. 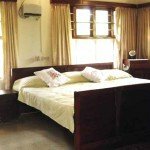 Honeymoon couples and Families interested in enjoying the serenity of nature and its silence would surely love to stay at such a place during their vacation. It is the place for calm and tranquility you can relax and enjoy your vacation in our paradise, either with partner or family, all at very reasonable pricesâ€¦. You’ll find the familiar smiles and friendly welcome waiting for you. Backwater Retreat is a quiet, private, secure, perfect destination for a honeymoon or romantic getaway. The beauty of Kumarakom awaits to be explored for honeymooners. It’s a couple’s paradise that will enchant your heart and soul. Complete with beautiful scenic viewing areas, quite surrounding, breathtaking scenery, peace of backwaters, starlight skies provide the backdrop for a tranquil celebration of love. 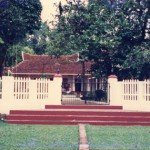 The exotic locales, intoxicating nature, hospitality, culture, romance, captivating celebrations together with the nature at its best make honeymoon in Kumarakom memorable. Backwater Retreat offers contemporary service and cordial hospitality makes you to enjoy all the privileges required for an unforgettable stay.. For honeymooners or a couple’s vacation getaway whether it’s two nights or a week’s stay, we’re the perfect place for you. We are treated to the simple pleasure of good food, good friendly service, good hospitality and good times. It is your Honeymoon and you and your companion needs privacy, luxury and security. This is time for romance, excitement and leisure. 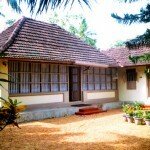 Welcome to Kerala backwater retreat, we offer you variety of options.